Stranger Things Season 1 Set fotos. . Wallpaper and background images in the Stranger Things club tagged: photo stranger things season 1 set behind the scenes steve hopper. 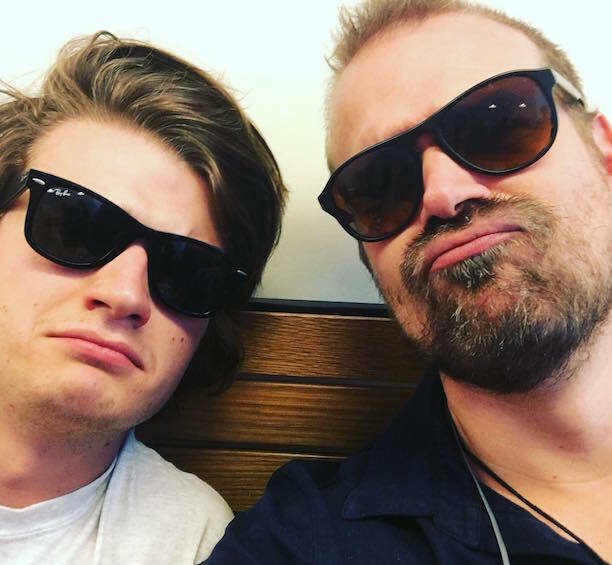 This Stranger Things photo contains gafas de sol, gafas oscuras, sombras, and tonos.